Athansius Kircher was a Jesuit scholar who lived between 1602 and 1680. He was born in Germany and lived there and in France, until in 1633 the Austrian Emperor called him to Vienna to succeed Kepler as mathematician of the Habsburg court. On the way there Kircher’s ship was blown off course and he ended up in Rome, where he spent the rest of his life. 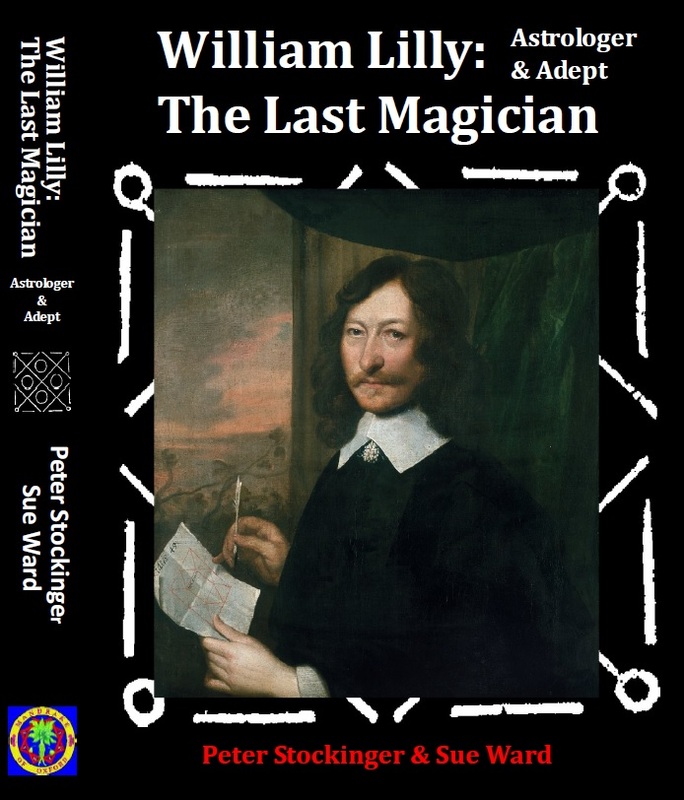 He published 40 books on various subjects in the fields of Egyptology, geology and medicine. Although he was a contemporary of Rene Descartes, whose rationalism was beginning to change the world for ever, Kircher’s thinking was still rooted in the Renaissance and particularly in Ficinian Neoplatonism. 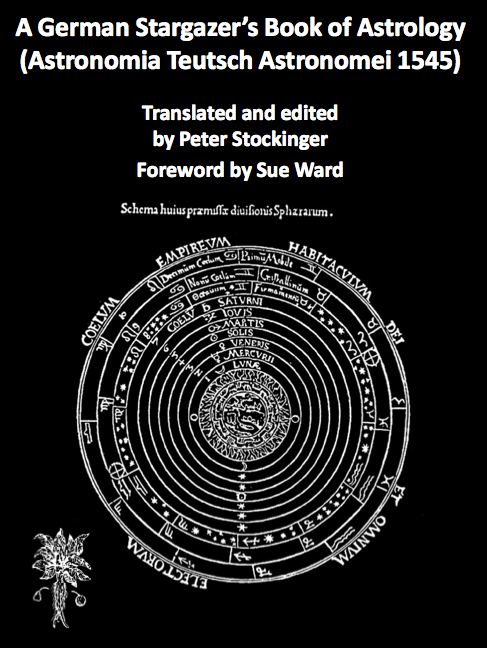 In his works he extensively quotes from Ficino’s translation of the Corpus Hermeticum, the Pimander and the Asclepius. He even gives his own version of Dee’s Monas Hieroglyphica in his Obe eliscus Pamphilius, published in 1650. Although a Jesuit, Kircher was involved in natural magic; he rejected daemonic magic, but was a Cabalist, trying to establish a synthesis between Hermetism and Cabalism in the sense of Pico della Mirandola. This is the basic system with the earth at its centre; the seven spheres of the Planets (moon, Mercury, Venus, sun, Mars, Jupiter, Saturn) surround the earth. They are all moving in concentric circles. Above the sphere of Saturn are placed the spheres of the fixed stars and the zodiac. This model was in use until it was overturned by the Copernican revolution. For Plato the cosmos was principally the image of the cosmic soul, mixed together from the three ingredients, being, sameness and difference, each of which is an intermediate state between the indivisibility of the noetic world and the divisibility of perceptible phenomena. It was structured by the demiurge, who indicated time by placing circular moving heavenly bodies in the circuits of the cosmic soul. For an in-depth discussion of this subject see Plato’s Timaeus, 34b-36b. Note hat Plato puts the sun directly above the moon. This system was adopted by Vitruvius who lived between ca 80 – 70 BC and 15 BC. He was a Roman writer and architect who was rediscovered in the Renaissance. Here Mercury and Venus are revolving around the sun. Like the other Planets, the sun revolves around the earth. 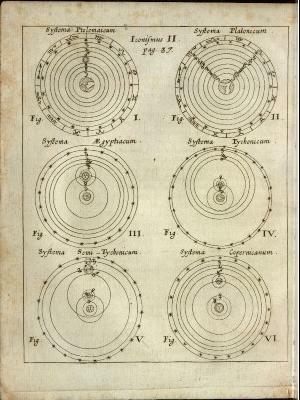 This system was suggested by Tycho Brahe, who lived between 1546 and 1601, was a famous astronomer and alchemist. 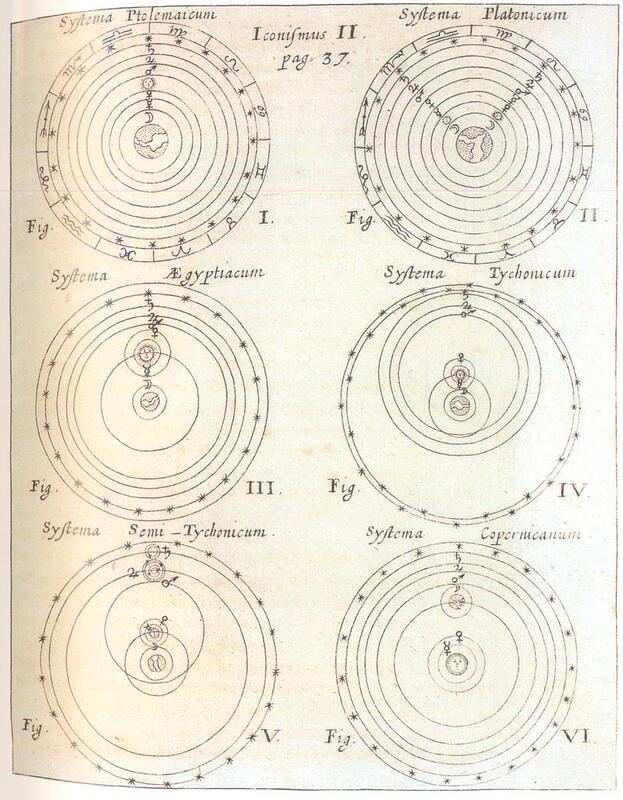 He tried to combine the Copernican system with the Ptolemaic system, the so-called Tychonic system. In his system there are two centres; the sun revolves around the earth and is at the same time the centre of the five other planets. In 1543 Nicolaus Copernicus, the famous Renaissance astronomer, formulated his heliocentric cosmology. His book De Revolutionibus Orbium Coelestium can be regarded as the first textbook of modern astronomy. 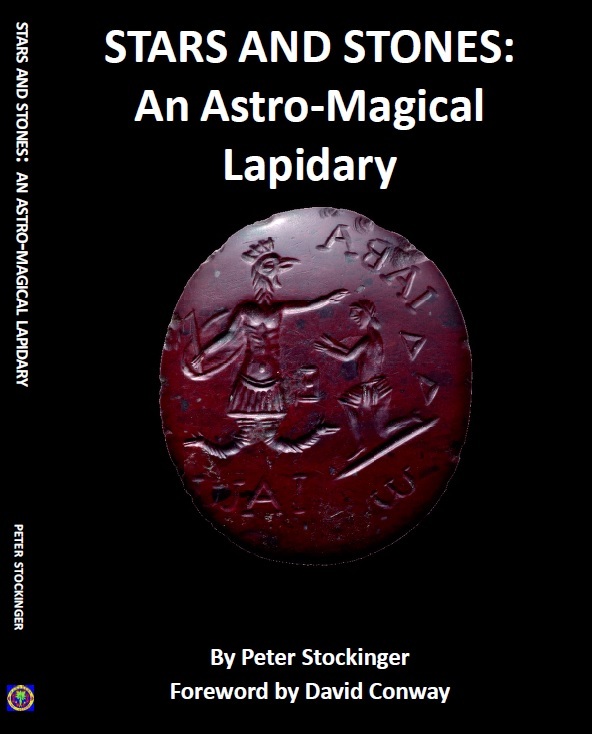 Having put the sun in the centre of the celestial spheres, he showed that his system corresponded with the Hermetic idea of the refinement of matter from lead (Saturn) towards gold (Sun), represented by the innermost, central position of the sun. Nevertheless Copernicus’ discovery was predated by the vision of Nicholas of Cusa, a German bishop, who lived between 1404 and 1461. Cusa was a Neoplatonist who reached the conclusion that the earth, rotating on its own axis, was circling the sun already in 1445. Nicolaus Copernicus, Giordano Bruno, Johnnes Kepler and Galileo Galilei were all aware of Cusa’s writings. Giordano Bruno often quoted Cusa in stating that “because God was infinite the universe would reflect this fact in boundless immensity”. This entry was posted in Astrology and tagged astronomy, Athanasius Kircher, celestial spheres, Copernicus, Cusa, Giordano Bruno, Monas Hieroglyphica, Neoplatonism, Plato. Coupla things jumping out at me, Peter. First, how different the Egyptian system is to Plato’s system, given Plato’s training in the Egyptian Mysteries. Wondering why that is. Secondly, I find it intriguing that Kirscher got blown off course and how his life and his studies would have taken a radically different course if he’d had to be the court astrologer in Vienna, where no doubt, Descartes’ rationalism would have pervaded much earlier. Firstly I do not think that Vitruvius’ system is of Egyptian origin; therefore I have labelled it pseudo-Egyptian. Secondly, yes, it is intriguing to speculate what would have happened if Kircher would have arrived in Austria. But reality is even weirder than fiction. Whilst travelling to Austria, the order was rescinded and he was ordered to go to Rome instead and to continue his work there; but unfortunately he had already set off for Vienna. Blown off course by the storm, he arrived in Rome before he even knew of the decision. The man was not an astrologer, he would have been succeeding Kepler as court mathematician. As Kircher was a Jesuit, he would not have approved of Descartes and his teachings at all. Although Descartes was nominally Roman Catholic, many scholars of the time saw him as an atheist. people having lots of fun in astrology , most of people faith blindly on astrology , horoscope for just satisfaction . i think some time its working but can’t depend on that .